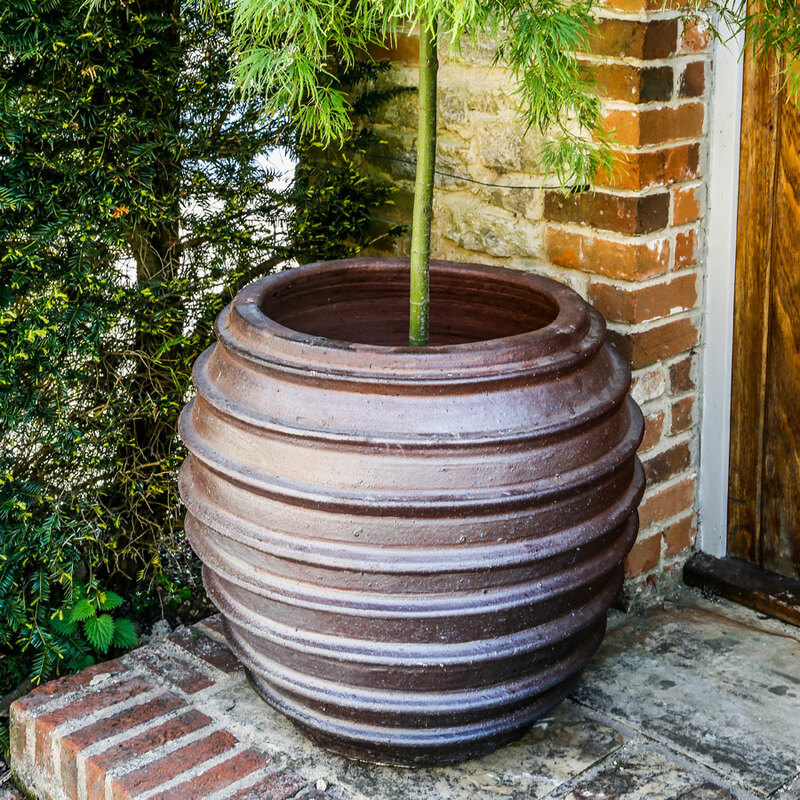 The multi-ring, ribbed detail of the Irun garden pot allows you to make this pot the focal point of your terrace or garden. 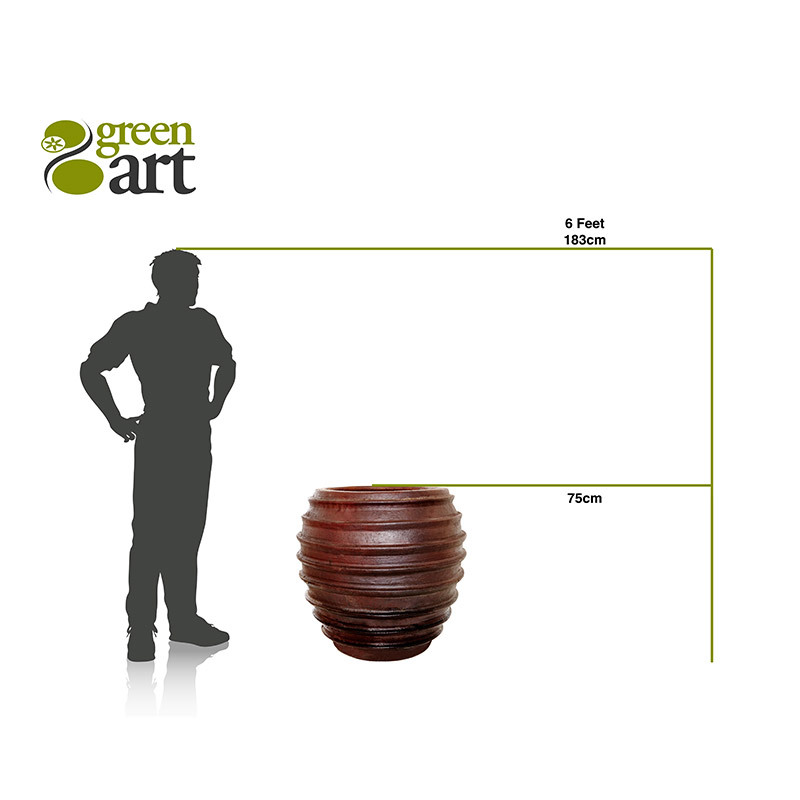 Colour variation from a dark burnt ochre to a deep red contrast with lime green foliage for a stunning effect. 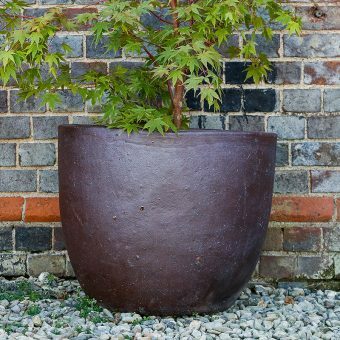 If you’re looking for a classic style of planter to create the Wow Factor in your garden then Ironstone is the ideal choice. 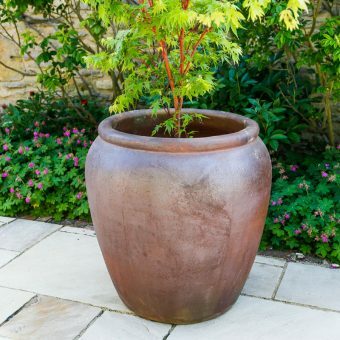 Made from a salt glazed clay and fired to temperatures in excess of 1000 degrees centigrade, these planters will not only create impact but are also very hardwearing to stand the test of time. 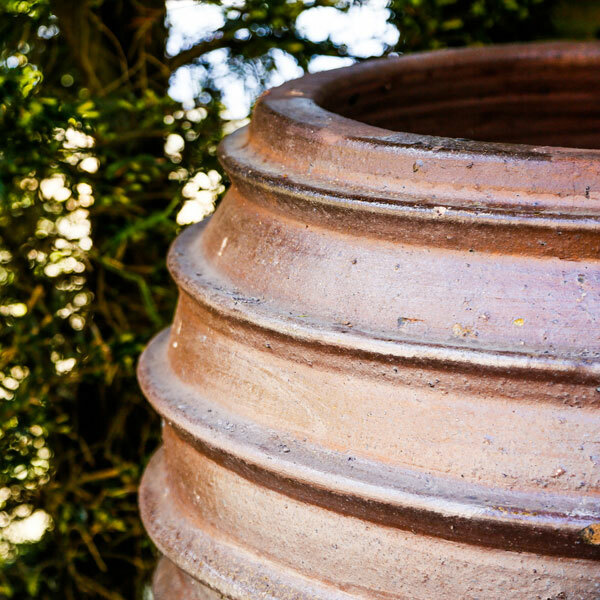 Finished with a weather-beaten patina, Ironstone planters will complement the brick, stone or timber of your home to create a striking effect. 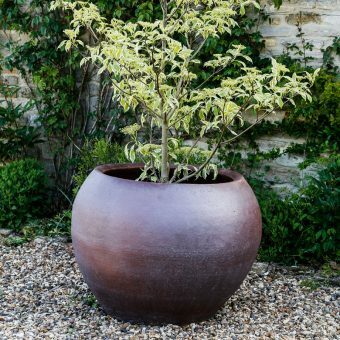 When planted with a specimen tree such as an Acer or Cornus controversa, these planters can create a majestic look to your home and garden. 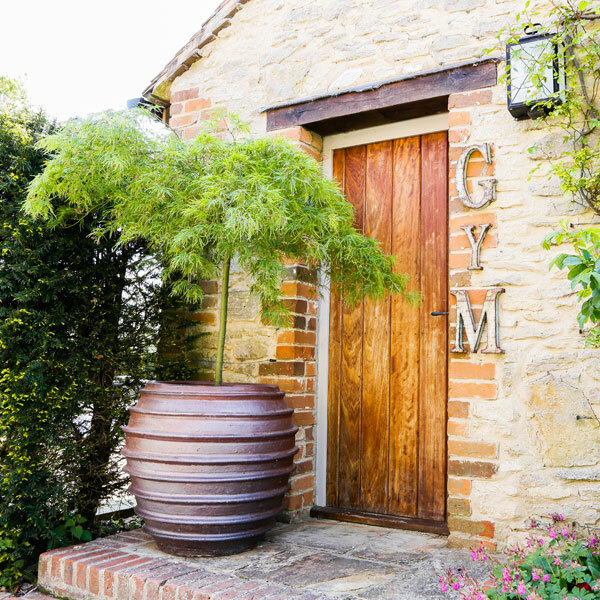 We’ve selected a range of shapes and sizes that show off the truly original texture of this material and give you the opportunity to create a stunning display.